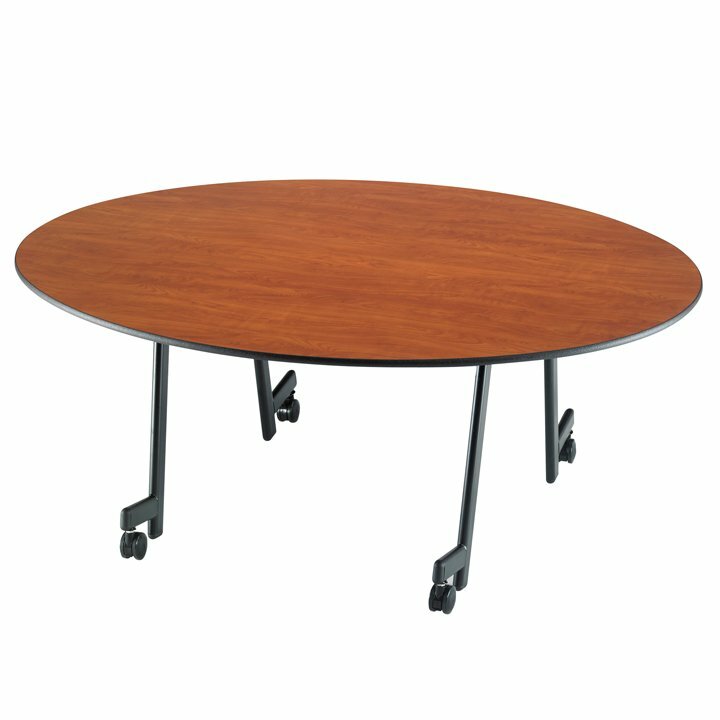 The Pacer II portable folding table features a spacious top surface that offers ample room for guests' food and beverages, in various shapes that promote conversation and connectivity. 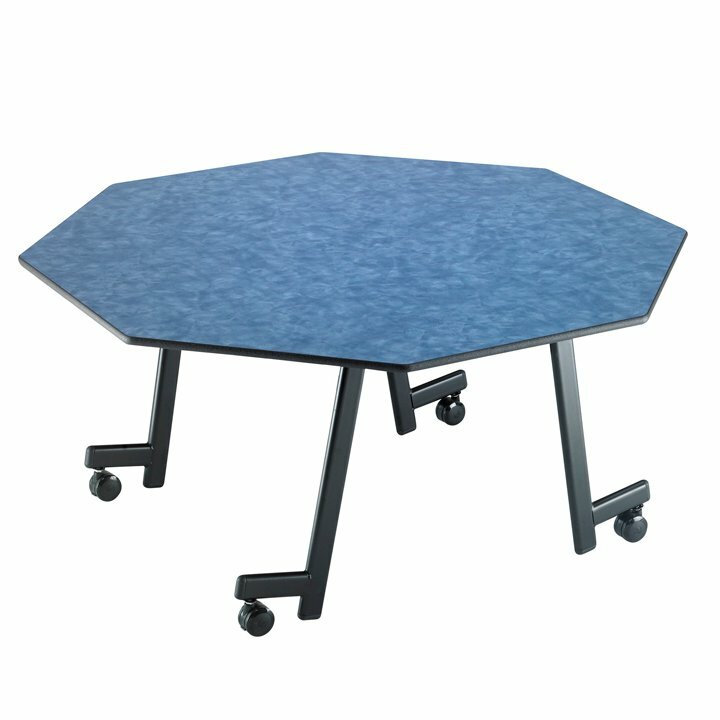 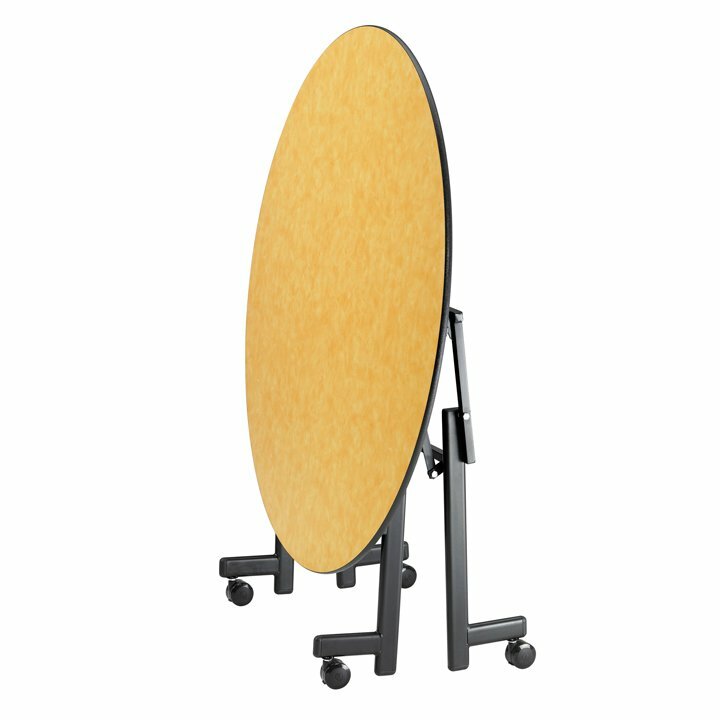 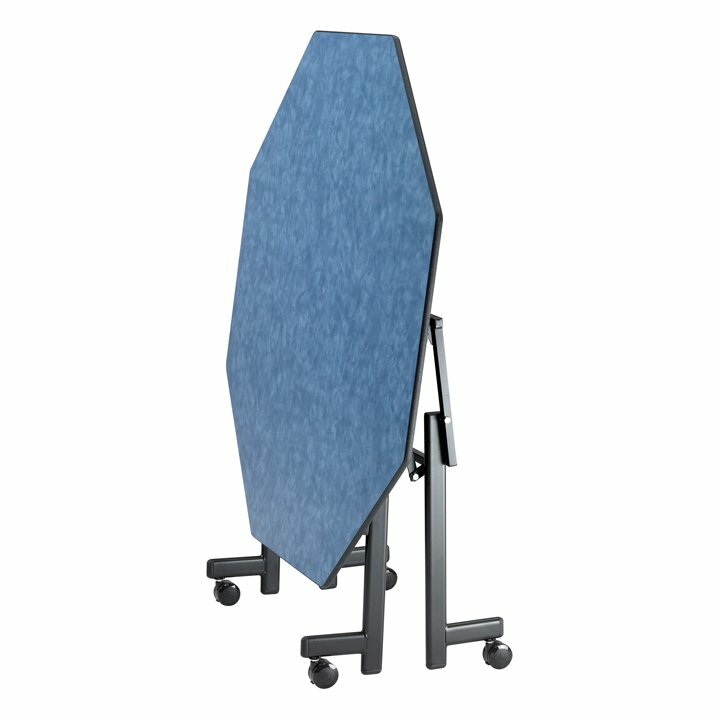 Each unit includes four caster wheels, so you can fold it and roll it with ease — into storage or on to your next event. 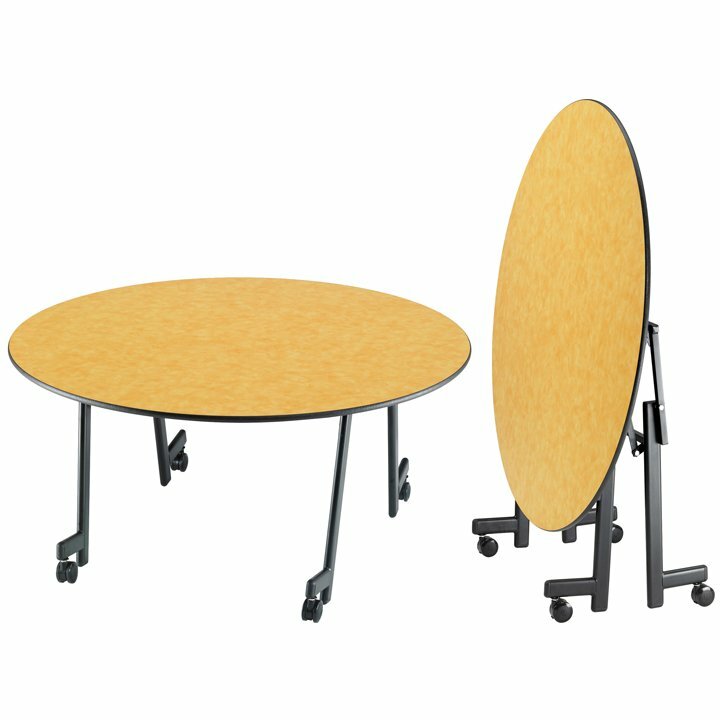 In fact, with the simple and smart design of the Pacer II, one person can easily operate the table, making it the ideal low-labor solution for hotels, convention centers, schools or any environment. 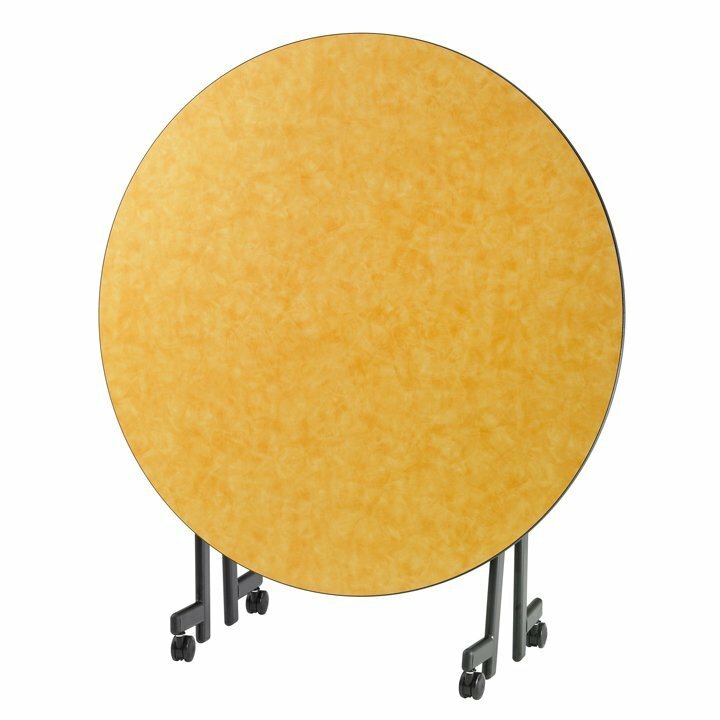 The Pacer II's superior design starts with its one-piece seamless tabletop, crafted from a high-pressure laminate that's reinforced with SICO® Armor-Edge® which hermitically seals the entire table edge surface and seamlessly protects the table from damage. 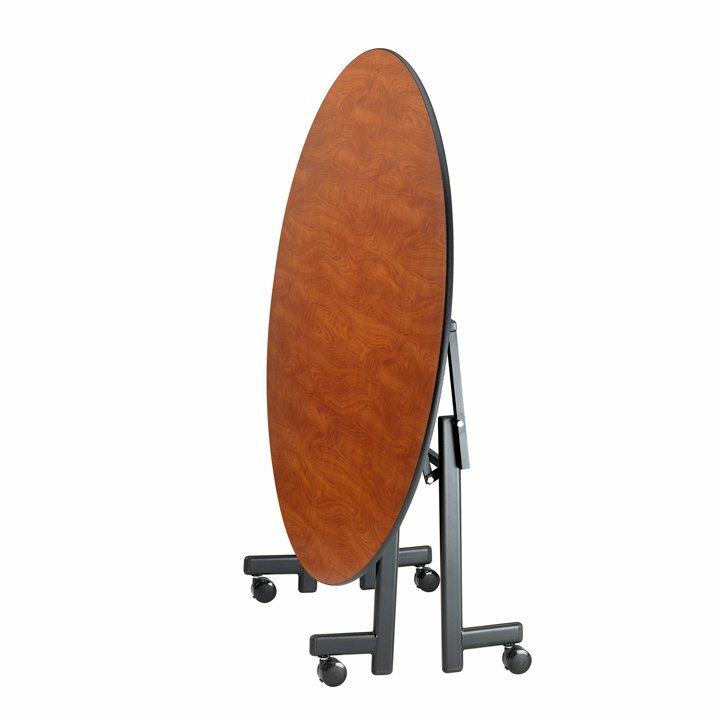 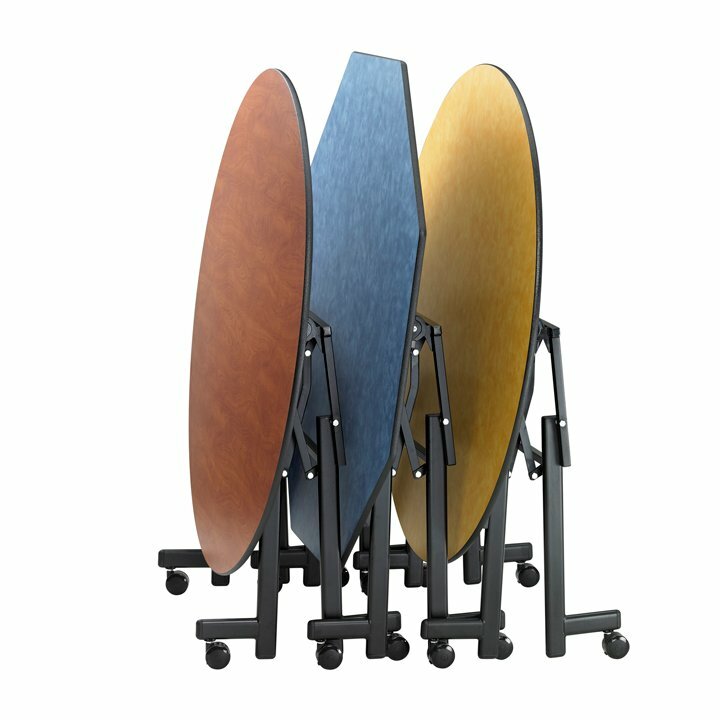 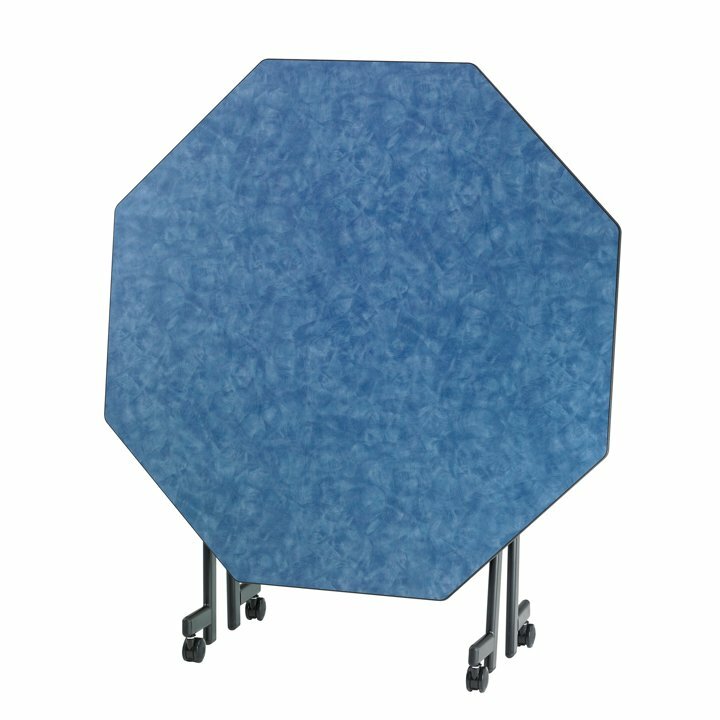 Choose from a variety of beautiful laminate top colors (72" round tops only available in Clear Maple), round or octagonal shapes, and elegant oval tube frames in nickel-chrome or black powder-coated finishes. 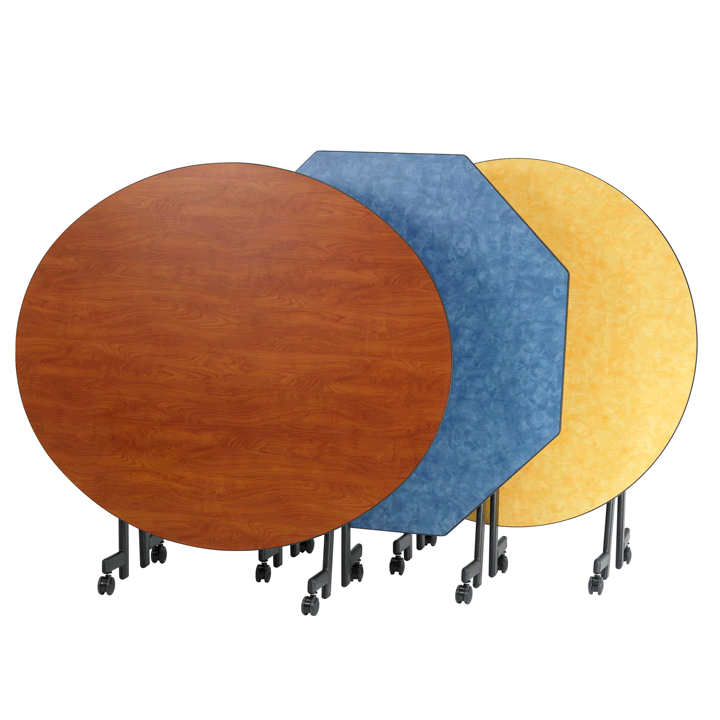 As with all SICO® tables, the Pacer II is crafted from higher-quality materials that will deliver the performance you demand and deserve. 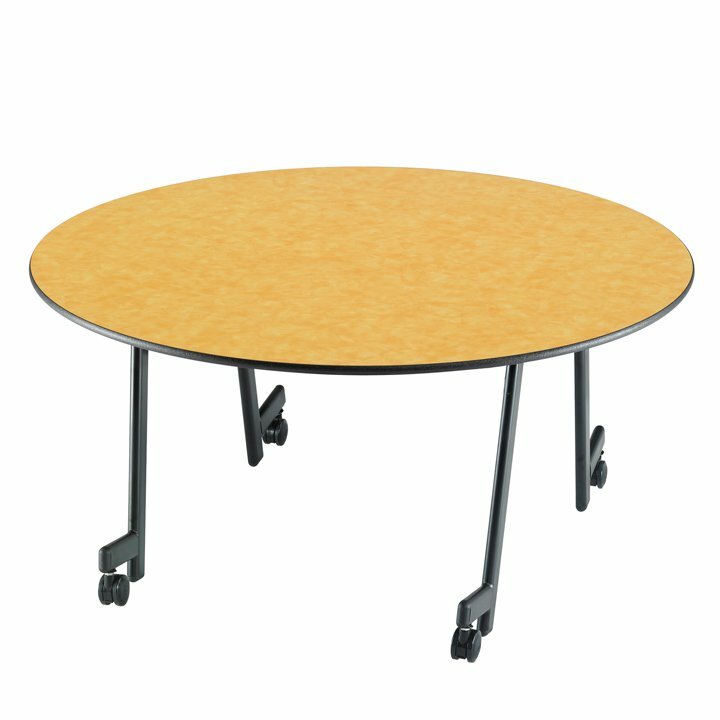 We use aircraft lock-nuts and bolts for a secure fit that won't loosen over time like regular screws used in inferior tables. 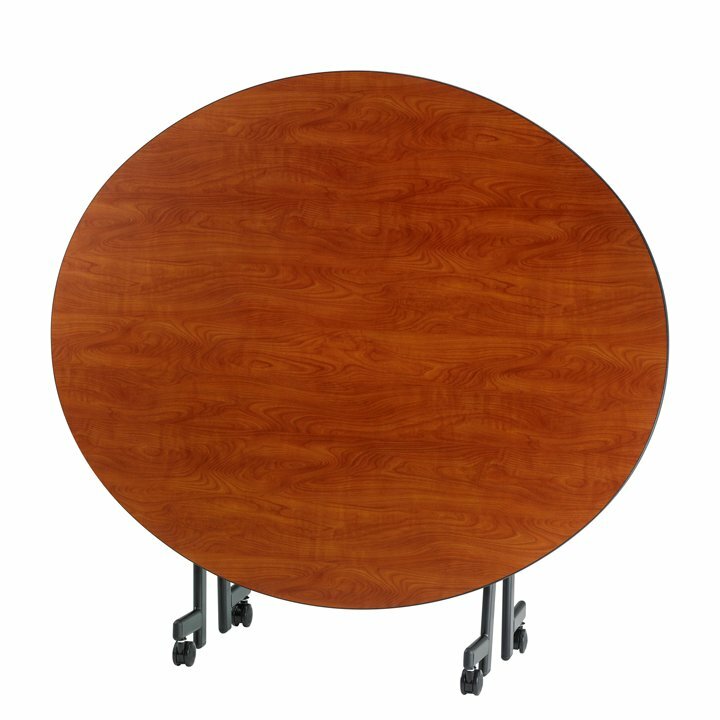 Plus, our 16-gauge metal frame provides a strong, stable foundation and tamper-proof expansion rivets securely fasten the frame onto tabletop core to prevent the slight tilting and tipping that can tarnish the guest experience.